Are Zeppelin ready to fly again? 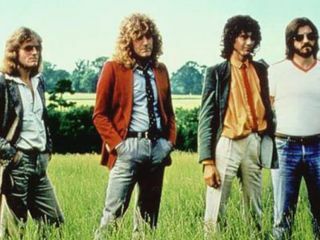 According to press reports in the UK, Led Zeppelin will reform again for a major tour. Only last week, it was suggested that Jimmy Page and John Paul Jones were so determined to tour as Led Zeppelin again, they were even considering hiring a new singer. According to The Sun newspaper, such a shock move has persuaded singer Robert Plant to commit to a tour. A source is quoted as saying: "The rest of the band had all but given up on Robert joining them, but they were determined to go ahead so had started to seriously explore other avenues. "When Robert realised the band were serious about doing it without him, it made him think long and hard. "He realised he couldn't face the thought of not being involved. The band were over the moon when he told them the news. "They are now forging ahead with the tour plans and they can't wait to get on the road." The tour is mooted for summer 2009, and will follow Led Zeppelin's reunion show at London's O2 Arena in December 2007. For most of 2008, Plant has been concentrating on touring his duet album with Alison Krauss, Raising Sand. The 60-something trio will be joined by drummer Jason Bonham, son of original drummer John Bonham. In August, Bonham hinted there could be new songs too. "I've been working with Jimmy (Page) and John Paul (Jones) and trying to do just do some new material and some writing," he said. "I don't know what it will be, but it will be something."